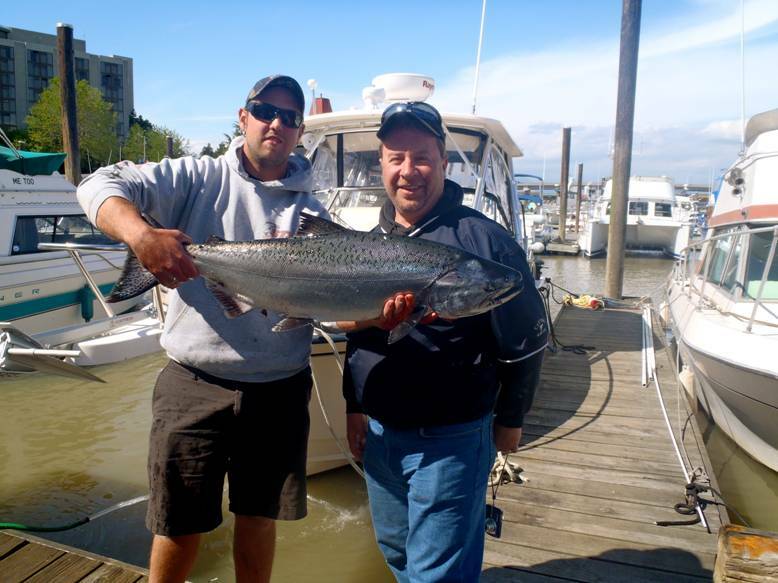 Vancouver area & Gulf Islands Salmon Fishing. Fishing in the Gulf Island region continues to produce good results. We have been on the water daily producing some nice Chinook Salmon. Yesterday we landed 6 salmon but unfortunately they were all a bit too small. Most of the fish last week were all between 16 to 25 lbs, we even produced one Chinook that weighed 27lbs. Over the next month we will continue to focus our salmon fishing in the ocean waters surrounding Vancouver & Gulf Islands. By far this is the place to be in the Vancouver area. 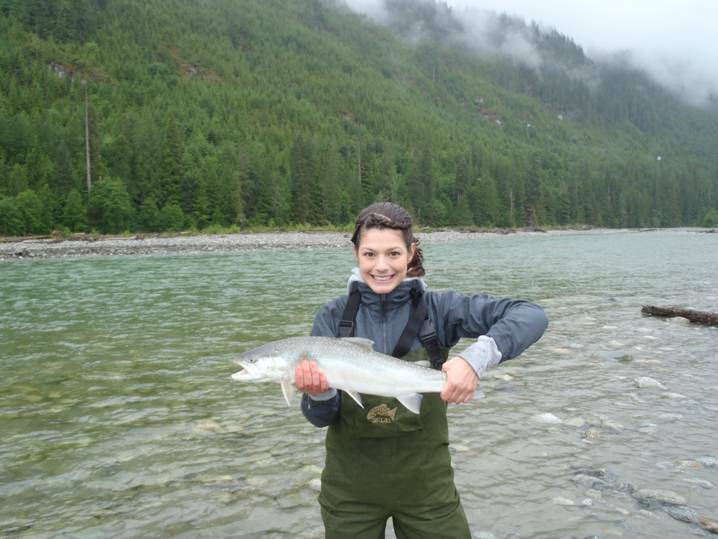 Although the Fraser will probably open for salmon fishing on July 15, water conditions will remain poor for most of July. We will have to wait and see how water looks in early August before we start salmon fishing the Fraser. The Pitt River has been a bit slower than we are use to but we are still producing some nice trout in the 4 to 7 lb range. Waters levels are excellent this time of year so regardless of weather we are always fishing good waters conditions. Both fly and Spoon fishing produces good results, the key is to fish the fly or spoon in fish holding water. Don’t waste your time fishing every run every hole, focus on key holding water and only fish those spots. I fish the Pitt much the same as I would steelhead, fish primary and secondary runs, leave the rest to the other anglers who don’t know any better. 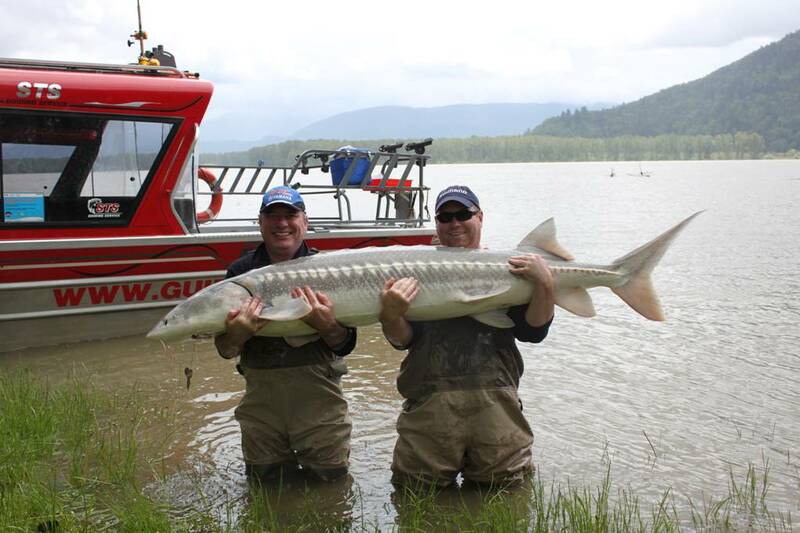 The Fraser has been fishing fair to good this past week, the last couple days we have seen some aggressive feeding behavior with some larger sturgeon being caught. Yesterday one of our groups battled a large sturgeon for over an hour, the fish got tangled up in some debris on the river bottom and was never landed but they did manage to land a bunch of nice fish. If you’re looking to get out on the water this week, we still have boats available for this weekend and next week. Just give us a call or e-mail to Book. 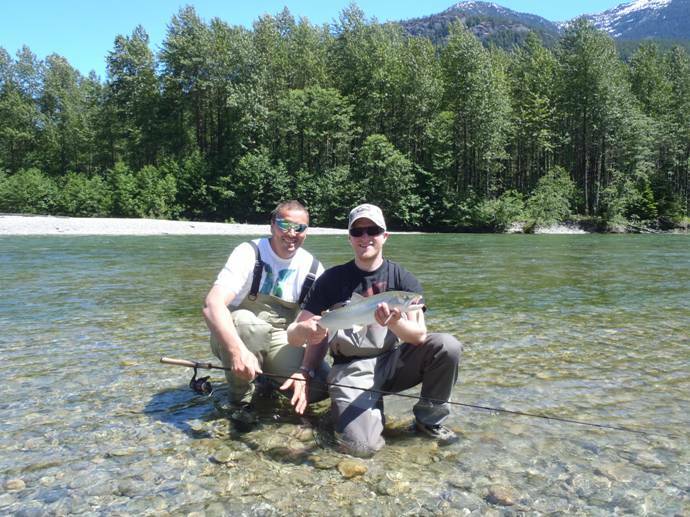 – Pitt River Fly- Fishing & Spin Fishing for Trout.